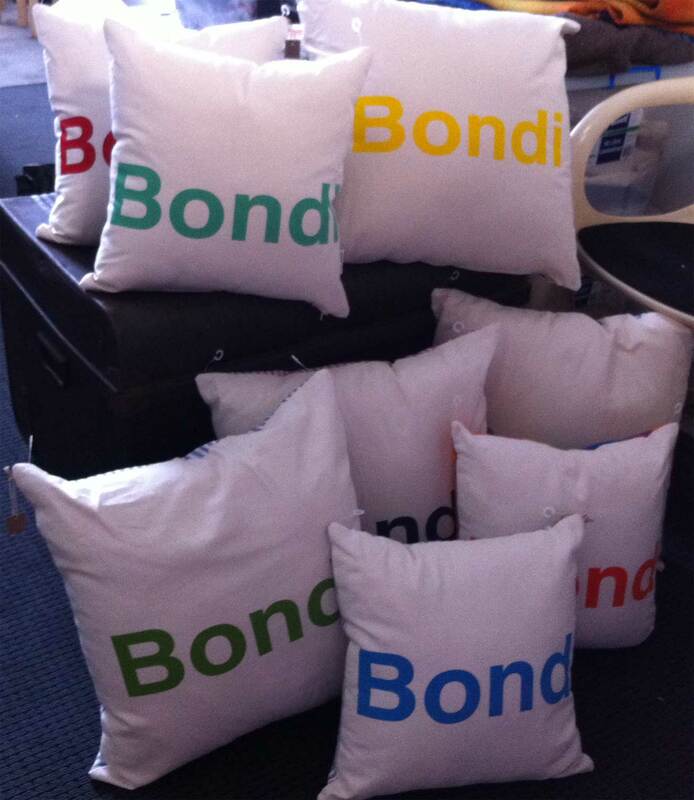 Our place name cushion is very popular with our Bondi market customers. Strikingly simple, printed on light weight canvas and available in two sizes – 40 or 50cm. All cushions have a feature back – refer style details for options. If you’re not sure just give us a call on 0410 652 405 and we’ll find the right one for you. At present we’re a little biased – we’ve only printed the places where we hang – Coogee, Clovelly, and Bondi – but we’re prepared to venture further. If you want some for your part of the world just drop us a line. All we need is a minimum of 10 and we’re in business! We also do place name tea towels – you’ll find them in the Tea Towel shop. You can combine your special request with those to make the minimum of 10. 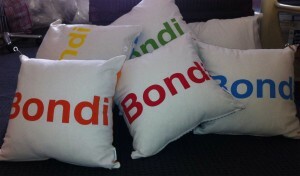 Printed and hand made in Coogee, NSW.